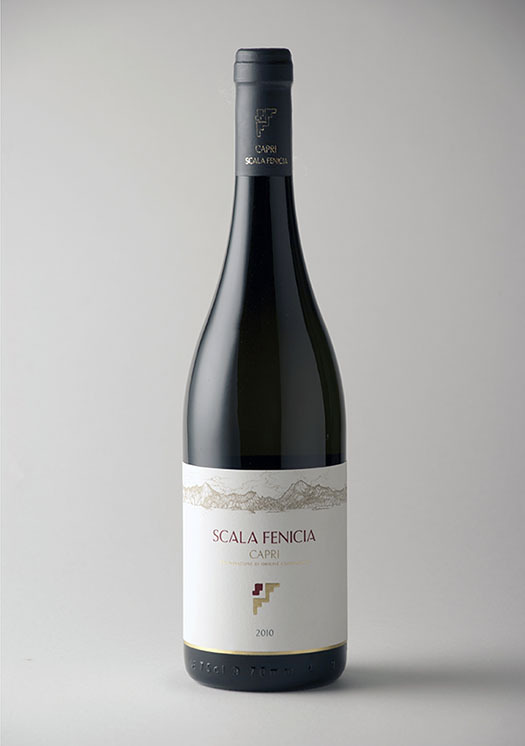 The Scala Fenicia wine company arises from the idea of recovering and restoring the wine-making tradition of the isle of Capri. 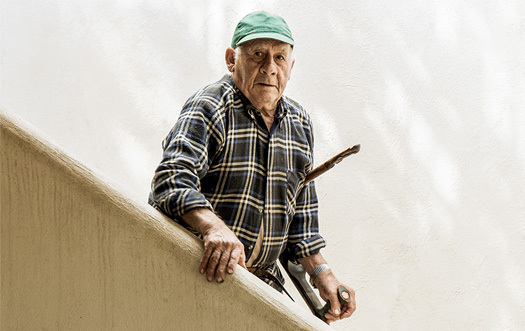 Since more than 50 years our grapes have been cultivated in symbiosis with the natural environment. Along with this harmony we provide modern vinification techniques in order to ameliorate a wine to be the one who reflects the history and the land of this magnificent isle. The “Capri di Scala Fenicia” is a white D.O.C. wine that is entirely produced inside the island with grapes coming from our farm. 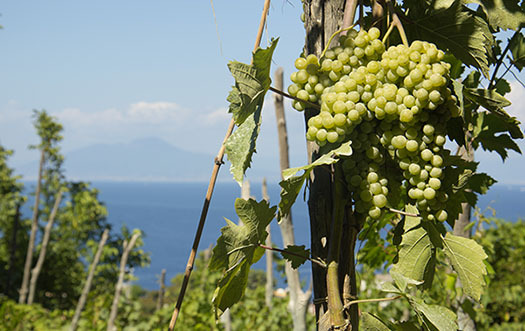 It consists of Greco (50%), Bianconella (30%) and Falanghina (20%) grape variety. Our small vineyard extends over ca. 4800 square yards, it is located at a height of 87 yards over the sea level and it is subdivided into 4 land terraces. 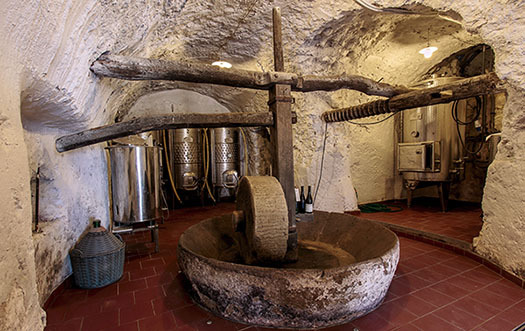 Our wine cellar has been built inside an ancient Roman cistern that was part of a hydraulic system very similar and probably historically coeval to the one of Villa Jovis, the Capri residence of Emperor Tiberius. The harvest is totally manual. 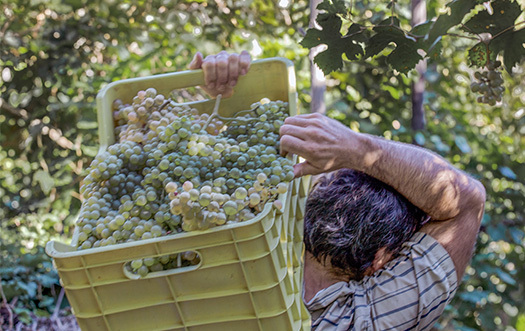 With scissors in the hands, the vineyard structures are climbed up to calmly collect the grapes into boxes that are carried on shoulder to the cellar. Since many generations, our land has been cultivated with respect and thankfulness. 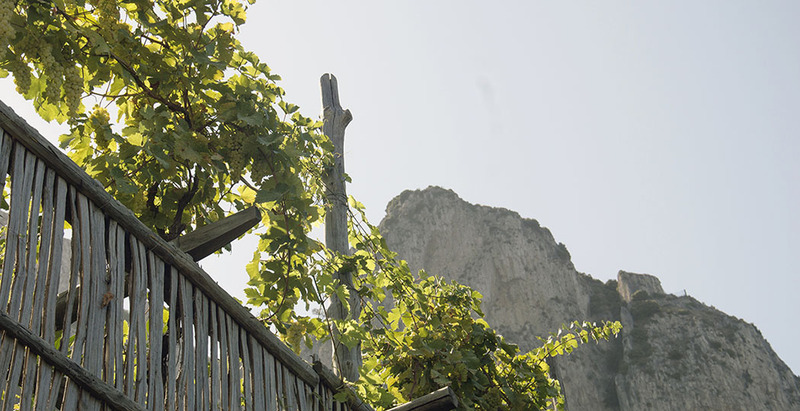 The processing of the terrain is always performed naturally, without the use of machines and by following the precepts of Capri’s tradition.